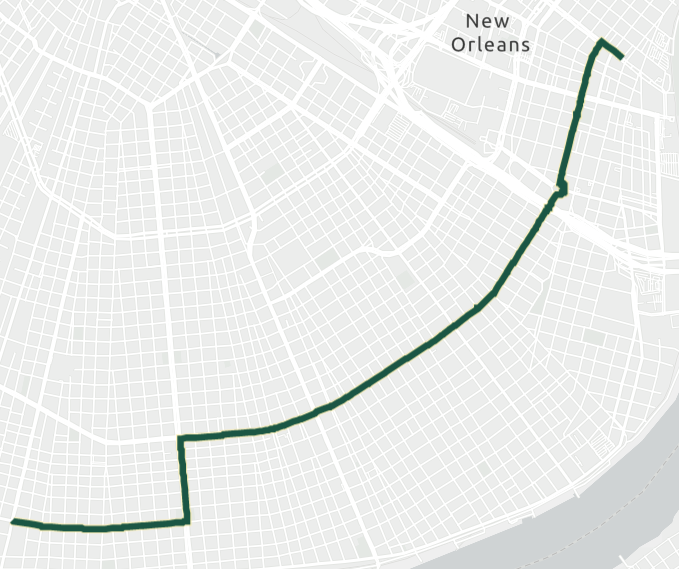 The parade takes Magazine Street toward Napoleon Avenue, where it turns left and proceeds to St. Charles Avenue, following the traditional route to the CBD. 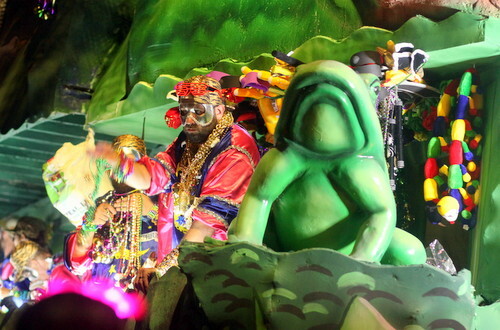 Le Krewe d’Etat emerged in 1996 to bring political satire back to the Uptown streets during Carnival. 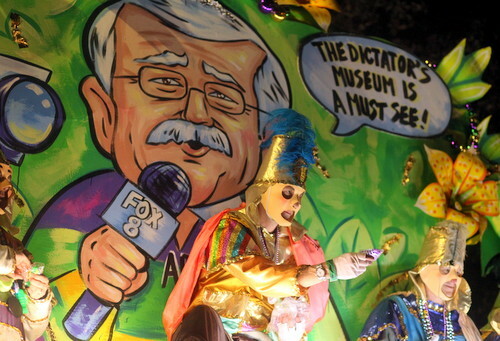 The krewe is ruled by the Dictator, whose identity is never revealed. 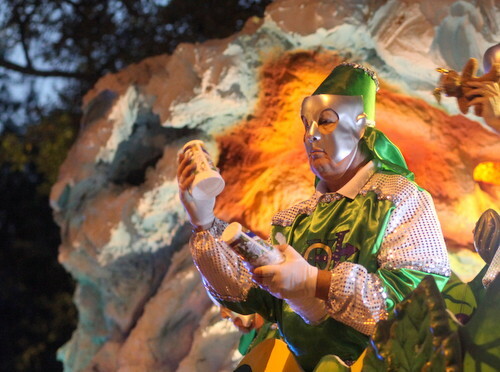 The theme is also a closely guarded secret until the parade, though the krewe promises: “All who preen in public are fair game for this irreverent band of hellions.” D’Etat was the first krewe to throw lighted blinking beads; its signature throw has a blinking skull. Watch for the skeleton krewe and the D’Etat Gazette. 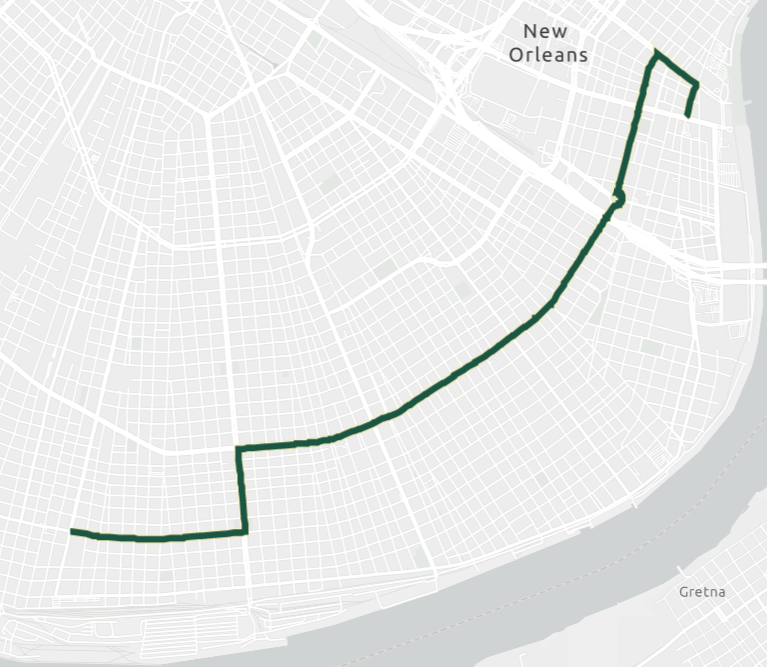 The parade turns right on Magazine, left on Napoleon, then right on St. Charles Avenue, following St. Charles to Canal Street.